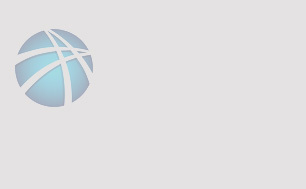 With more than 80 percent of smokers living in the global South, people working in tobacco control recognize the links between tobacco, poverty, and development. “It is surprising and disappointing to see how many people working in development do not see these links,” says Sonja von Eichborn, director of Unfairtobacco.org. Tobacco control was not included in the Millennium Development Goals (MDGs), which guided the international community’s work on development over the past 15 years. With the shift from the MDGs to sustainable development goals (SDGs) this year, hopes are high that the development community will finally pay attention to tobacco control. Sustainable development brings together three dimensions of development – social, economic and environmental – and so does tobacco control, as outlined in the World Health Organization Framework Convention on Tobacco Control. Its Objective is “to protect present and future generations from the devastating health, social, environmental and economic consequences of tobacco consumption and exposure to tobacco smoke”. Indeed, implementation of the FCTC is included in the proposed SDGs, recognized as one of the ways to achieve healthy lives for all people. “To see the FCTC included in the proposed SDGs is an incredible achievement, but we need to keep in mind that there are 17 sustainable development goals and the FCTC is only one of the 169 targets,” explains Sonja. In other words, with so many objectives, tobacco control might or might not end up on the radar of the development community. A recently released report by Unfairtobacco.org, the German NGO Forum on Environment and Development, and Bread for the World, a major German development NGO, links the SDGs with implementation of the FCTC. The report, Tobacco: Antisocial, Unfair, Harmful to the Environment, was developed to highlight the complexity of sustainable development and to alert development organizations, including the Deutsche Gesellschaft für Internationale Zusammenarbeit (GIZ), the official German development agency, to the integral part that tobacco control plays in sustainable development strategies. 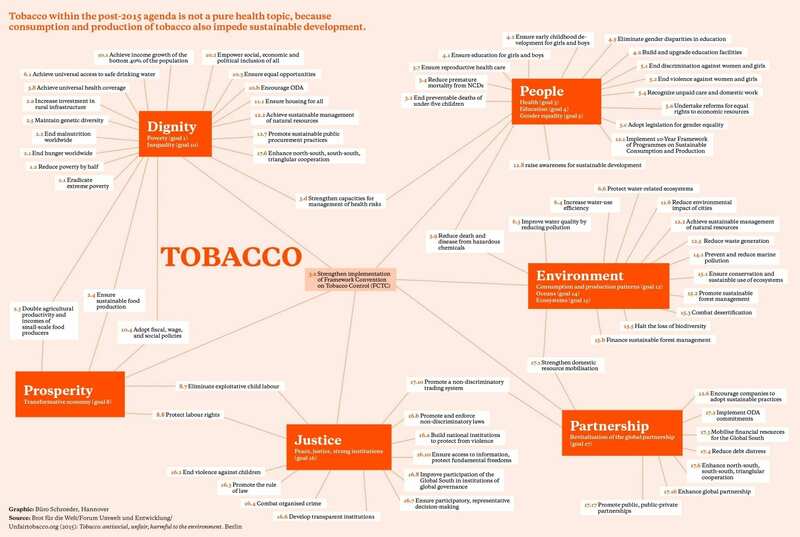 The authors look at some key development concepts, such as dignity or prosperity, and provide examples of their relationship to tobacco control. A key recommendation of the report, directed to the German government but also relevant to many other governments, is to support FCTC implementation through development assistance in line with FCTC article 26.3.